Safely Clean & Speed up Your Slow iPhone in 1 Minute. We’ve all been there before. We want to download the coolest game, movie, or the new iOS update, only to find that we just don’t have enough storage space. We can surely delete things like: Photos, music, and movies, etc., but, what is this OTHER thing that’s taking up space? We even sometimes mistakenly delete these OTHER things, which can cause the device not to work. So has your iPhone become slow and unresponsive? Has it lost some of the zing it used to have? iPhoneCleaner is a pratical tool that solves all your iPhone/iPad/iPod touch system problems. 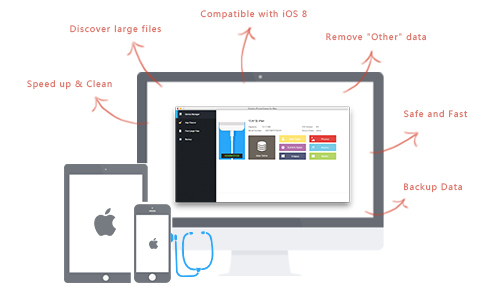 · Clean up your entire iPhone: Dig into every corner of your iPhone and visualize the size of your files & apps, videos or photos in list style. You can easily remove the unnecessary files and uninstall useless apps to free up more space for your iPhone. · Clean up App junk files: Clean up junk files produced by your apps. App junk files, app cookies, app caches and other redundant files are all detected and cleaned. · Delete large, forgotten files: It scans your disks, folders, storage and visually displays a list of the most bulky content. We've made the functionality simple and intuitive so anyone can quickly clean iPhone junk files without running into any frustrating or clunky delays. 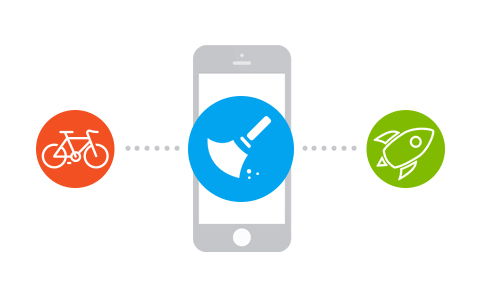 Also to gain free space on your iPhone, PhoneClean will not endanger your Apps (data & progress), music, movies, photos or other useful content. 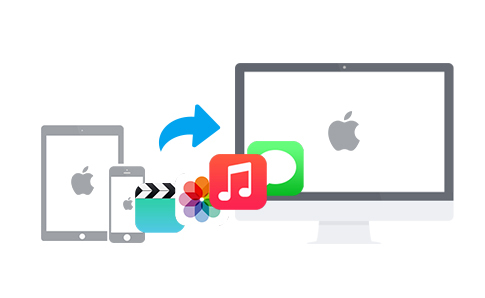 Backup is a key feature of iPhoneCleaner that backs up the important things such as photo library, camera roll, contacts, music, reminders, notes, and other important data on your iOS device. Unlike an iTunes backup which creates an essentially unreadable file of all your information, the One-Click-Scan physically copies the files from your iDevice and plops them onto your hard drive. This is especially useful when iTunes can't recognize your device. In addition to cleaning content from the Apple iPhone, it works well with all iOS devices including the new iOS 8.1, iOS 8, iOS 7.1/7/6 devices. No need to jailbreak your device. 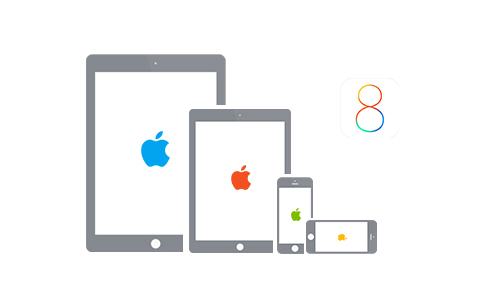 · iPhone: iPhone 6 Plus, iPhone 6, iPhone 5s, iPhone 5c, iPhone 5, iPhone 4S, etc. · iPad: iPad Air 2, iPad Air, iPad mini 3, iPad mini 2, iPad mini, iPad 4, etc. · iPod: iPod touch 5G/4G/3G, iPod nano, iPod classic, iPod shuffle, etc. 1. The Fastest app! At least 40% faster than other tools! 2. Easy view of available disk space on your iDevice. 3. Detects more junk than any other iPhone cleaner. 4. Finds files and folders that take up space. 5. Discovers large files that are rarely used. 6. Gets rid of stuff you don't need. 8. Always keeps the iPhone responsive swiftly. 9. Fixes system issues like device crashes or freezes randomly. 10. 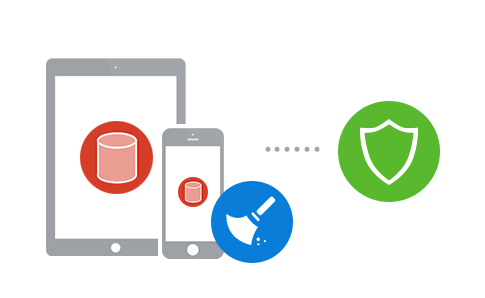 Free up your device for maximum space which lets you run more apps and store more content. 73% OFF, ONLY FOR TODAY, DO NOT MISS OUT! - Mac OS X 10.8 Mountain Lion, Mac OS X 10.9 Mavericks, and Mac OS X 10.10 Yosemite.